Out of all the Caribbean islands, the Dominican Republic is the ideal destination for relocation. 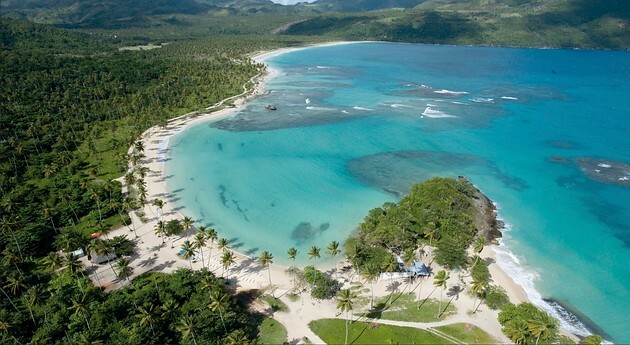 Situated on the second largest of the Caribbean islands, the Dominican Republic is close to Cuba and Jamaica. Culturally, it is a delightful blend of Hispanic and African-Caribbean influences. The landscape is as diverse as the heritage offering, not just the long, white beaches adorned by coconut trees, and the beautiful blue sea expected of the Caribbean, but mountains, forests, waterfalls and even an area of desert. The Dominican Republic is coveted as a luxury location; yielding a pace of life conducive with the deepest of relaxation or the most romantic of getaways. Contrast that with vibrant activities, specially in the town of Cabarete on the north coast of the island, providing you with the opportunity to do everything you love to do, and it is clear why the Dominican Republic is one of the most popular locations, not just for luxury breaks but, for many people, a relocation to a new life altogether. In addition to all the benefits of living in a country rich with diversity and blessed with warm temperatures, the Dominican Republic is also one of the easiest countries in which to invest and/or become a resident. 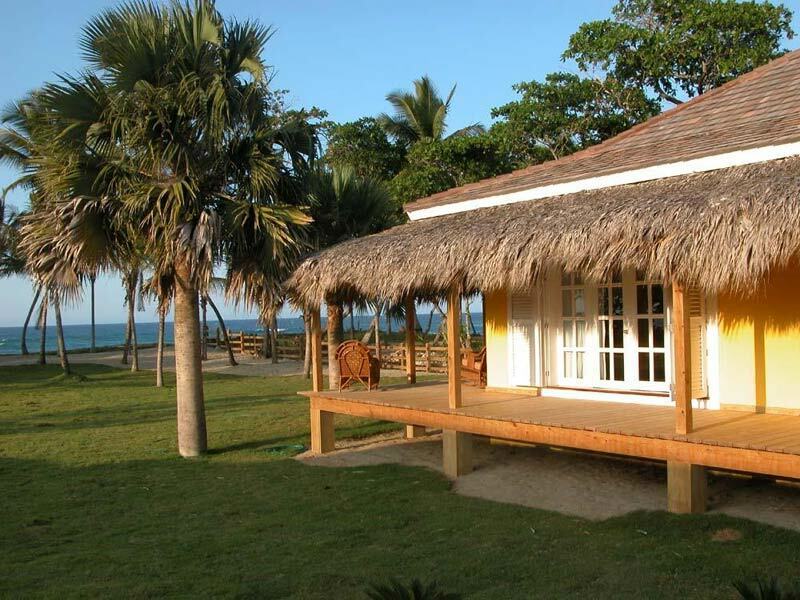 Should you wish to consider a relocation there are reputable companies in the Dominican Republic that will help you with everything you need to know from finding and purchasing or renting a property, to helping you with issues such as health or insurance. 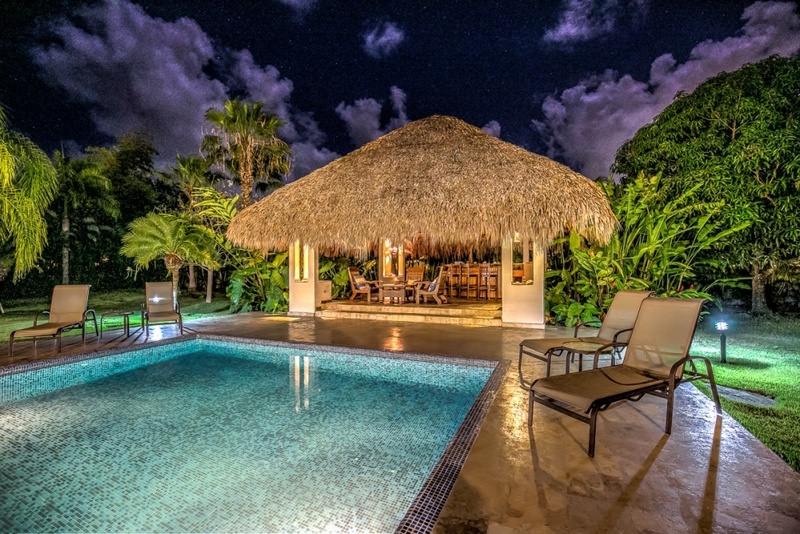 The prices of property, both residential and commercial, are lower than in the other Caribbean islands, hence offering a wonderful opportunity to seize the lifestyle you’ve always dreamed of. There is complete freedom of commerce, meaning there are few restrictions against purchasing a property or business as a non-national. Furthermore, there are great opportunities for investing in land and businesses available to help you with every aspect of building your ideal home. Residential visas are also easily accessed and are considerably more cost-effective than the other Caribbean countries. With legal residency, one may work in the Dominican Republic. In addition, bank account interest is 100% locally tax-free – this is ideal for those of you who would love to live a luxury lifestyle whilst enjoying your well-earned savings. The exhilarated and encouraging voices of those who have made the move to the Dominican Republic are consistent. Number one on the agenda of those who choose to relocate is found the part of the island that you love the best. Select your location. It is wise to spend some time visiting the island, soaking up the ambiance, exploring the different regions, deciding where would be the ideal place for you. Many people choose to rent properties or to buy a property. These are cost-effective ways of accommodating yourself in style whilst pondering your perfect plan. Renting means that you can easily stay for an extended period whilst you find a property or business to buy, or you can revisit time and time again. A timeshare is most effective should you wish to visit the island on multiple occasions; the one-off payment will ensure this is ultimately lucrative. Timeshares tend to be located in resorts so, although you may appreciate the use of all the amenities, renting may be preferable if you enjoy a more home from home environment. Many people start their relocation in the Dominican Republic in Sosua, a small town close to the Puerto Plata International Airport. It is a heavenly beach destination which offers plenty of opportunity for enjoying water sports or exploring the diverse marine life and intricate reefs if you like to dive or snorkel. There is a growing community of non-nationals and it is great for settling in and orientating yourself with all the Dominican Republic has to offer. Others prefer Playa Grande, named one of the top ten beaches of the world in Conde Nast Traveler. This is your typical, beautiful, beachside paradise, offering luxuriously long lazy days, gourmet dining and elegant accommodation. In the same area, Tortuga Bay has a large nature reserve where there are ecologists conducting essential work. If spectacular wildlife is a must for you head to Samana Bay where every year you can view thousands of humpback whales. Santo Domingo is the Dominican Republic’s capital and although it is notably beautiful for its old Hispanic feel, complete with cobbled streets, it also has everything you would expect of a modern city. Obviously, as the country’s capital, Santo Domingo has plenty of opportunity for shopping both with open air markets and well-known brands in shopping malls. In all of the areas popular with tourists, open air markets and shopping malls abound ensuring that you will never be without any of the goods you may require. Aside from being perfection for snorkelers, divers, water enthusiasts, shoppers, ecologists, sunbathers, just about everyone really, the Dominican Republic is a paradise for those who love to sail with many of the larger resorts having marinas. Cabarete is a haven for seafarers and even holds a yearly regatta. The country is also a premier destination for Golf enthusiasts with over 26 Golf courses to choose from; all of which are vast and in striking locations. And – as if you needed more convincing – the Dominican Republic is also great for music. You will always be able to find a venue for some dancing or some feet-tapping relaxing and the annual Jazz Festival in Playa Cabarete has some of the finest performers from Latin America, the Caribbean and the United States. For a life-changing relocation to one of the most beautiful countries in the world, or for a business opportunity in a luxurious location, the Dominican Republic must be considered. Once you take the time to explore, meet the communities of friendly locals and welcoming ex-pats, and consider all the lucrative facts, you will know that it is the best move you could ever make. Life here couldn’t be simpler. 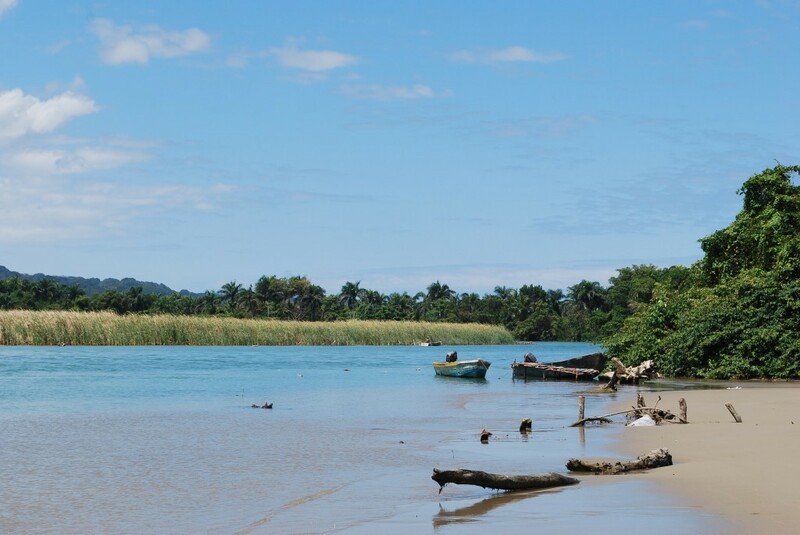 Some of the finest and most challenging river fishing in the Dominican Republic is to be found in one of the many rivers that flow to the sea from the interior highlands. Many of these watercourses are well known, and a few are well-kept secrets amongst local anglers. Many of the riverine and/or estuarian species found in South Florida are also found here, and with much less fishing pressure. Guides are available who will supply the boat, a well-stocked gear. Dominican Republic Fruit & veggies are actually fresh; not three to ten days old and they are not tampered with. They are not waxed, irradiated or force-ripened. If local is the new organic, then in the Dominican Republic has the mother load. All the Dominican-made cheese is from grass-fed cows or goat milk. Since grass is a cow’s natural diet, it produces a better milk for healthier cheese. Cattle for slaughter are not corralled in feed lots for three months and fed corn to fatten them up. They do not need the fat and neither do we. So they are high in everything you want and low in everything you don’t want. 100% grass fed—without the grass-fed prices. When you live on the north coast, produce is harvested anywhere from 10 minutes to two hours away—maximum. This is as local as you are going to get. 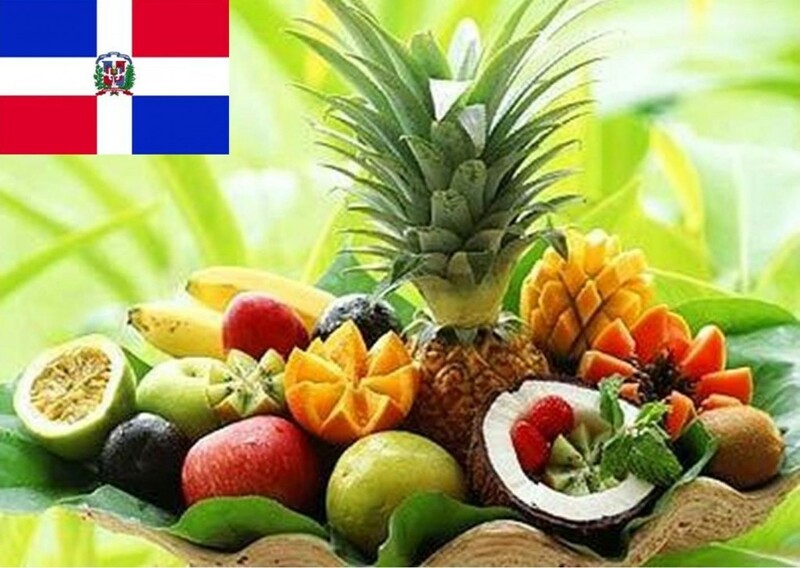 Recently, the Dominican Republic’s Department of Food Safety of the Ministry of Agriculture conducted tests for toxic residues on Dominican-raised fruit and vegetables in a project funded by the United States Department of Agriculture. Aside from super markets and small grocery stores, roadside trucks sell produce—probably the freshest. The bananas, mangoes, and avocados at these mobile roadside stands are mostly what the Dominicans call “natural.” They go beyond organic, raised without any fertilizer, just the tilled ground. As they put it, “As nature intended.” “Natural” is how root vegetables like yucca and batata (a yam) are raised. Though free-range chickens and their eggs are about to be outlawed in the United States by the Food and Drug Administration, they are available in the Dominican Republic, though there are not enough yet to be sold in stores. You have to go to the farms, but they are here. 1. At least 80% of the fruit is golden, with no bruises. 2. The stem at the bottom, where it was picked from the plant, is a pale yellow. 3. It smells like pineapple. This seems obvious, but sometimes people are deceived into thinking it is ripe simply by the color. 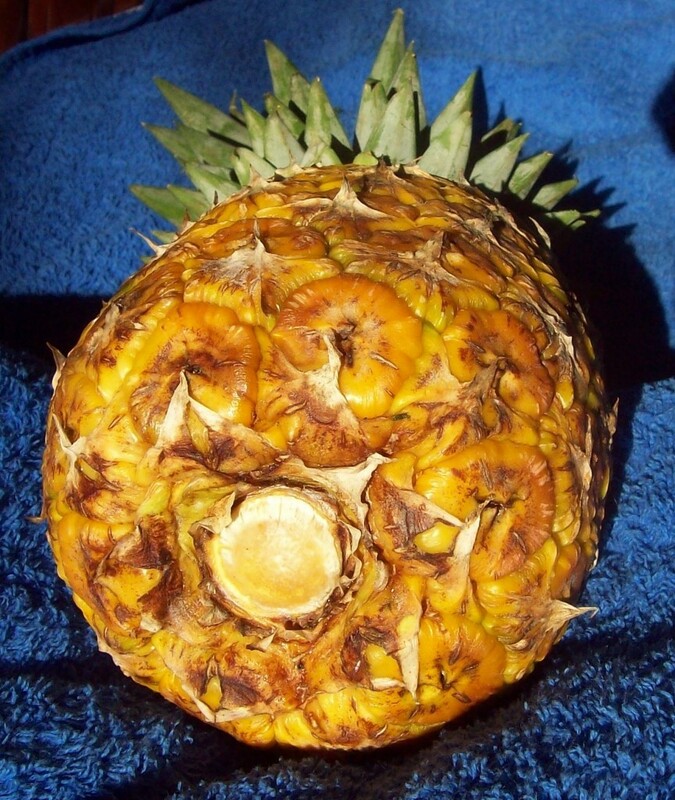 Rule of thumb: If it does not smell like a pineapple, it will not taste like a pineapple. This goes for mangos and papaya as well as peaches and pears back home. The Secret to Making the Best Banana Pancakes Banana is to use the best bananas. Since all bananas are basically created equal, how you ripen them is important. This goes for the best banana bread (other banana bread recipe here) and banana spice cake with cream cheese frosting. Bananas are one of the few fruits that ripen off the plant. They should be kept in a cool location with no direct sunlight. Ideally, put them in a paper bag, close it and put them in a cupboard where they will not get molested. For pancakes, the skins should be speckled. When the spots begin to touch each other, it is a sign that the starches have been converted to sugars and the alum, which pulls the inside of your mouth together and makes cakes dry, dry, dry, has been neutralized. At this stage, peel and put the bananas in a cup, mash them with a fork and add them to your recipe, usually at the rate of 1 ½ medium bananas to a cup of batter. When making banana bread or cake, the skins should almost be entirely black. 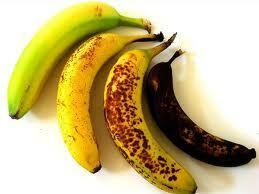 Do not squeeze them while they are ripening, otherwise, they will rot instead of ripening. Bananas are also your kitchen pal. They will help other fruits ripen; for instance, a pineapple. Put a green banana in a bag with a pineapple that is half green. The banana gives off gases that help ripen the pineapple.